A new round of sequels and remakes news has really popped up in this past month. That’s not too surprising since by now, mid-June, we are firmly in the middle of the summer movie season and seeing which films are doing well enough to get sequels or determine trends. Right now the biggest hits of the summer have been The Avengers: Age of Ultron, Mad Max: Fury Road, and Jurassic World. There will most likely be sequels to all three of these movies (obviously we already know about what’s coming next for the Avengers, with next years Captain America: Civil War looking a lot like another Avengers film itself.) The other big movies so far have been San Andreas and Pitch Perfect 2. And then there’s the movie that is the biggest loser so far, regarding the box office, and that would be Tomorrowland. Apparently Disney has already lost so much money from this film, that they pulled the plug on a third Tron movie that was in the works, because it would have been similar. The recent sequel and remake news starts with the Rock announcing that he will be making a Big Trouble in Little China remake. There’s a good deal of backlash here, since that movie clearly doesn’t need to be remade and will never be able to capture the same eighties-B movie, John Carpenter-Kurt Russell, bad special effects, feel again. To help smooth things over, The Rock has publicly stated that he wants to get Carpenter back, either directing or producing. This all came out right after The Rock’s film, San Andreas, made a ton of money. Other news is that Joe Carnahan might be directing Bad Boys 3. It will have the same cast, of course, and I like Carnahan stepping in as the director. This is the guy who made Narc and The Grey. He also made some lousy movies, including Smoking Aces and The A Team. Basically, when he stays on a smaller scale and goes for darker, grittier films, he is at his best. I’m just happy that the director won’t be Michael Bay. It’s about time they pump some new blood into these movies, and change up the style a little. The Paul Feig Ghostbusters reboot also has some news. This is the new Paul Feig – Melissa McCarthy project. They also have a movie out this summer which is doing well and is supposedly pretty good. This summer the actor-director duo have given us Spy, a sort of spoof on the James Bond – Mission Impossible franchises. 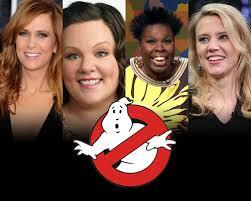 With Ghostbusters, we have known that the four members were Kristin Wiig, McCarthy, Kate Mckinnon, and Leslie Jones. Those later two actresses are in the current Saturday Night Live cast. Wiig was a former member. And now we learn that Cecily Strong will also be in the movie (another current member of SNL.) It seems like a little too much taken from the same pool. That being said, we also learned recently that Emma Stone was indeed offered a role in the Ghostbusters remake and turned it down. That makes me feel a little better about the SNL cast being chosen, because it means they went to the right people first and didn’t just jump in bed with SNL. Stone should have done it and would have been perfect. Still, with Paul Feig and Melissa McCarthy, it’s gotta be pretty good. These two have had success in all three movies they did together… Bridesmaids, The Heat, and now Spy. The Ghostbusters remake still has other casting news, which is that Chris Hemsworth (Thor) has joined the cast to play the secretary. In the original films it was always a team of guys with a female secretary (Annie Potts playing Janine.) Now, it will be an all female team with a male secretary. Finally, there is the Netflix / Marvel news that John Berenthal (Shane on The Walking Dead,) will be in the new Daredevil season, playing The Punisher. Daredevil had a tremendous season 1 and really got the public’s attention. 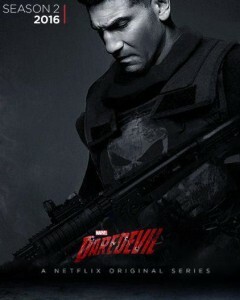 It got people in Hollywood talking to the point where Tom Hardy started saying he’d like to play the Punisher (he probably meant on the big screen, and not on Netflix,) and the Jason Statham got into talks about playing the villain Bulls-Eye fro the Netflix show. That deal fell through, and Berenthal stepped up. This guy was great on the Walking Dead and in the Wolf of Wall Street, and I hear he is pretty awesome in Fury tos.